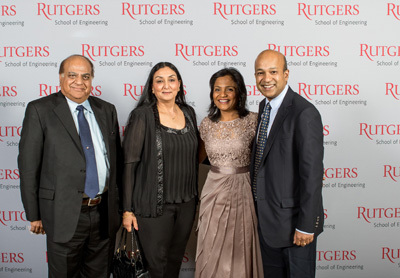 Six distinguished Rutgers University School of Engineering alumni have been selected to receive the school’s most prestigious awards for professional achievement and service to the community. 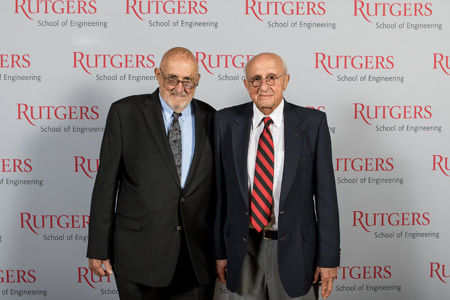 The Medal of Excellence and Distinguished Alumni awards recognize the contributions made by School of Engineering graduates in advancing innovation and technology across a diversity of professions and disciplines. 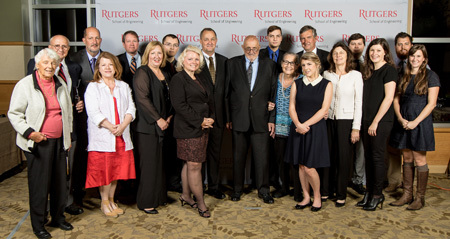 The awards will be presented on Thursday, October 15, 2015 at a dinner event with alumni, faculty, students, and industry and government leaders, on the Rutgers Livingston campus in Piscataway. 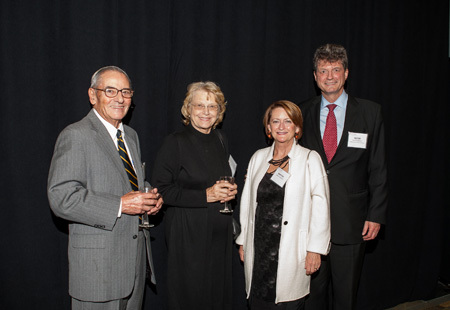 This year’s honorees include alumni whose contributions in infrastructure, pharmaceutical research and development, and medicine, biomedical, and materials innovation have contributed to technologic advancements and economic development for New Jersey and the nation. 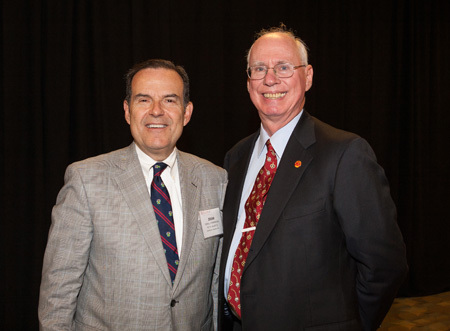 In addition, a Dean’s Award for Service is presented to a School of Engineering alumnus who, through personal commitment and dedication, has contributed to advancing the engineering profession. 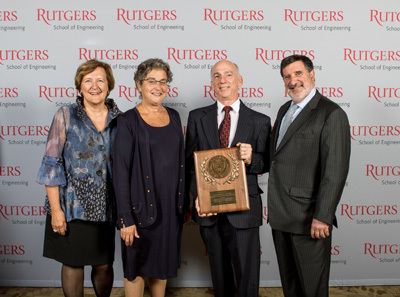 The Distinguished Engineer Award is given by the Rutgers Engineering Society, the official alumni group for the School of Engineering. Richard N. Weeks is chairman of Weeks Marine, Inc., one of the largest marine and tunneling contractors in the United States and Canada. He assumed the presidency of the company in 1960. Under his leadership, the company has grown into a strong national marine contracting business fielding a fleet of over 400 vessels. 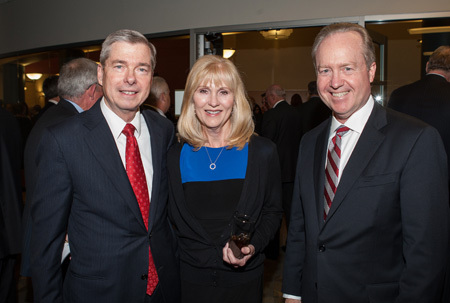 In 2001, Weeks was recognized by his peers in the industry with the prestigious Moles Member award, the preeminent fraternal organization in the heavy contracting business. 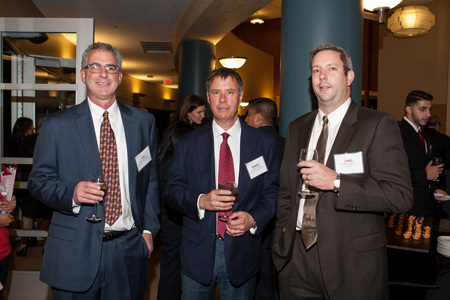 Weeks continues to be fully engaged in the business and respected throughout the industry. Subhasish (Roy) Roychoudhury is a senior technology executive with 16 years of experience with Global Fortune 10 companies. He currently manages critical IT systems that run Ford Motor Company’s global vehicle assembly and stamping plants. He recently led a large scale Agile transformation at Ford Motor Company which was recognized with a “Transformer” award at a leading Agile conference in 2014. Roychoudhury’s past experience includes leading globally distributed application development teams at Ford, driving strategy, roadmap, and implementation of product development systems at Ford and GE, and performing and managing advanced R&D which has led to several patent-winning innovations at GE Corporate R&D. Raymond Iezzi, Jr., M.D. conducts preclinical and clinical translational trials in several ophthalmology-related areas. 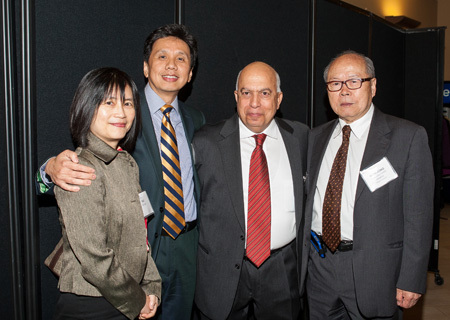 He is noted for his research introducing new methods of slowing retinal degeneration in patients with retinitis pigmentosa, age-related macular degeneration, retinal detachment and complex trauma. His work in the field of retinal prosthesis includes methods for restoring vision to patients with advanced retinal degeneration. 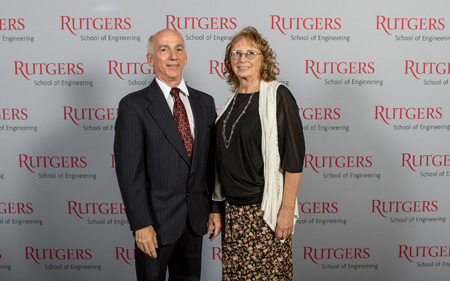 Dr. Iezzi holds a master’s degree in Biomedical Engineering from Rutgers and a medical degree from New York Medical College. He currently holds faculty positions at Mayo Clinic College of Medicine and Wayne State University and is a Fellow of the American Academy of Ophthalmology. Eric Jayjock recently joined Patheon, a leading provider of drug substance and drug product services for the global biopharmaceutical industry, as director of continuous manufacturing. 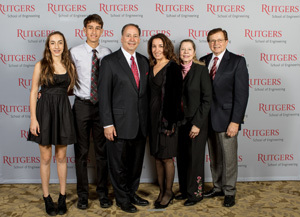 As a graduate student at Rutgers University, Eric Jayjock was a member of the National Science Foundation Center for Structured Organic Particulate Systems (C-SOPS) team, contributing to the development of scalable manufacturing processes for oral solids dosages. A culmination of this work included designing and coordinating the construction of the C-SOPS continuous direct compression line in collaboration with Johnson & Johnson. Following the successful completion of that project in 2013, Jayjock joined Janssen as staff engineer responsible for bringing continuous manufacturing into the Janssen manufacturing and development portfolio in a way that maximized value for the industry, company, and patient. 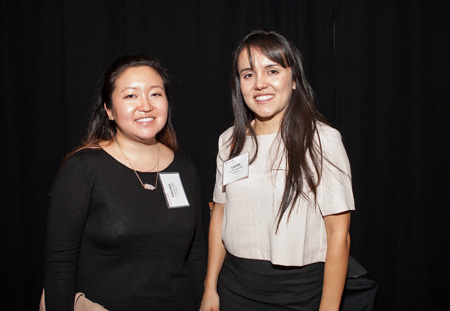 Tracy Espiritu left a career as a product engineer to become a science and STEAM teacher (science, technology, engineering, architecture, math) in the Elizabeth school district. Motivated by her passion for science and a desire to train the next generation of innovators, she supports and trains other teachers to be effective STEAM educators. She serves as a mentor to colleagues, providing ongoing professional development and evaluating curriculum and its implementation so that students can develop higher-level thinking skills. 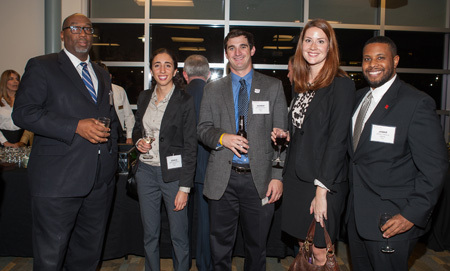 Espiritu has forged partnerships with universities and serves as the NASA Explorer School Team Leader. During summers, she has taken fellow educators to JPL and Houston and Kennedy Space Centers. In 2014, she was awarded a Milken National Educator Award. 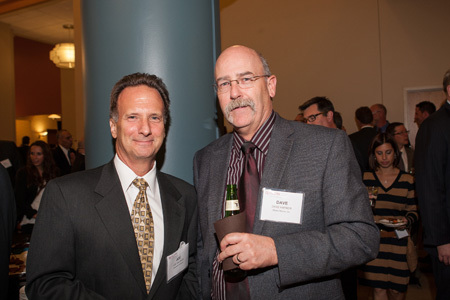 Benjamin Fasano joined IBM in 1982, most recently working within IBM’s Semiconductor and Research Development Center. With the acquisition this past summer of IBM's microelectronics business by Globalfoundries, Fasano has joined that company as an engineer in advanced silicon packaging development. His significant contributions to the understanding and advancement of ceramic based dielectrics as semiconductor interconnect-packaging materials and processing provided leading-edge competitive advantages to IBM’s mainframe and server systems for decades. 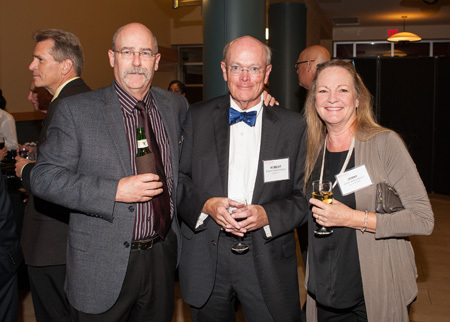 He holds 60 U.S patents, with many more pending, and has served as chair of IBM’s invention disclosure evaluation team for the past nine years, leading a select group of experienced professionals who provide technical and business assessments of semiconductor device packaging related ideas. He is also involved in setting technical direction for future high performance electronic packaging for the company. 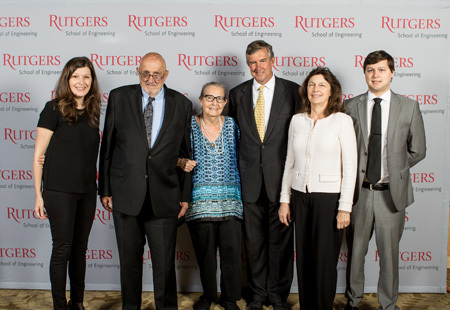 In addition, Fasano has a lifetime of community service achievements from founding the Rutgers Ceramics Olympics as a fundraiser for the American Cancer Society to his current involvement with Big Brothers/Big Sisters.